After making the initial decision to explore your ancestry and genetic origins, you are faced with a multitude of nuances, separating one ancestry DNA testing company from the next. 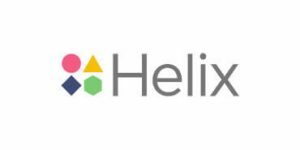 Helix and Living DNA are both excellent choices for the task at hand, but one will certainly come out on top once you identify your specific needs and expectations. Their services, although high-quality and professional, differ in small but important aspects, even though they seemingly do the same thing. Our comparison will help you spot those differences between Helix and Living DNA, allowing you to make an optimal and fully personalized choice. Living DNA provides the most precise ethnic estimates on the market. Its ancestry test covers the biggest number of genetic populations, which translates to the most accurate genetic percentages. Living DNA offers one ancestry DNA test - Ancestry. The final report provides you with a thorough breakdown of your maternal and paternal ancestry, your haplogroup/subclade, and the migration map of your ancestors. Living DNA is a holder of ISO:27001 certification, which signalizes optimal protection and security for your personal and genetic data. As your DNA sample is only connected to your unique ID number, not even its staff members will know your identity. Living DNA doesn't allow individuals under the age of 18 to get tested without the explicit consent of their parents or guardians. Living DNA never received my test and I have been asking for a replacement test or refund and they are not responding. I have been communicating with them via email (the only way I've found to contact them in the US) and they are radio silent after two months. Buyer beware - their support is non-existent. I would not use this company. Bought 2 Dna test for Christmas, only received 1 test. They do not respond to emails. SO basically I paid they ripped me off. Still waiting for a response from December 11, 2018. DO NOT ORDER from this company I know someone that paid FULL price and after 3 Months still has NOT received their results!! !